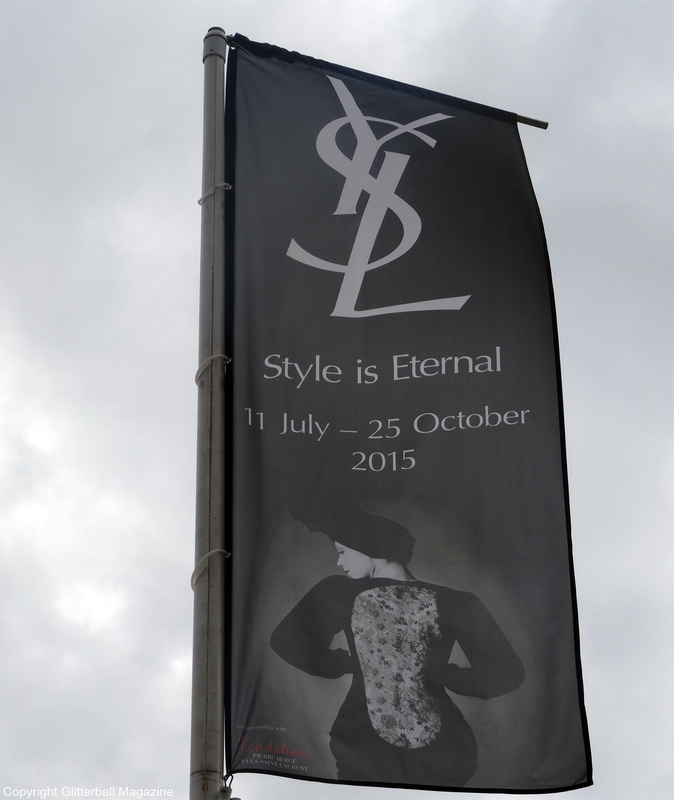 Yves Saint Laurent’s motto was ‘The most important thing is to last.’ I’m pleased to say his designs, many of which are currently on display at the Yves Saint Laurent: Style is Eternal exhibition at The Bowes Museum, County Durham, will always be held in high regard. 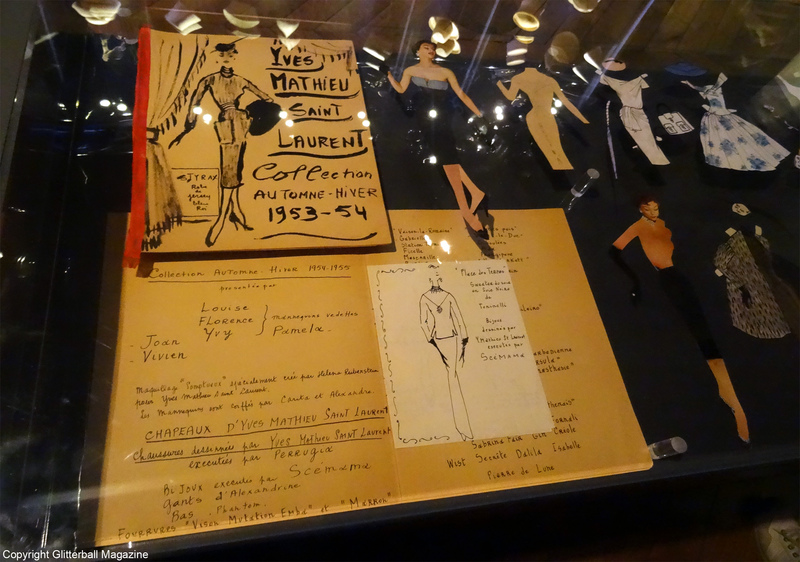 You couldn’t really expect more from a man who revolutionized the world of haute couture. 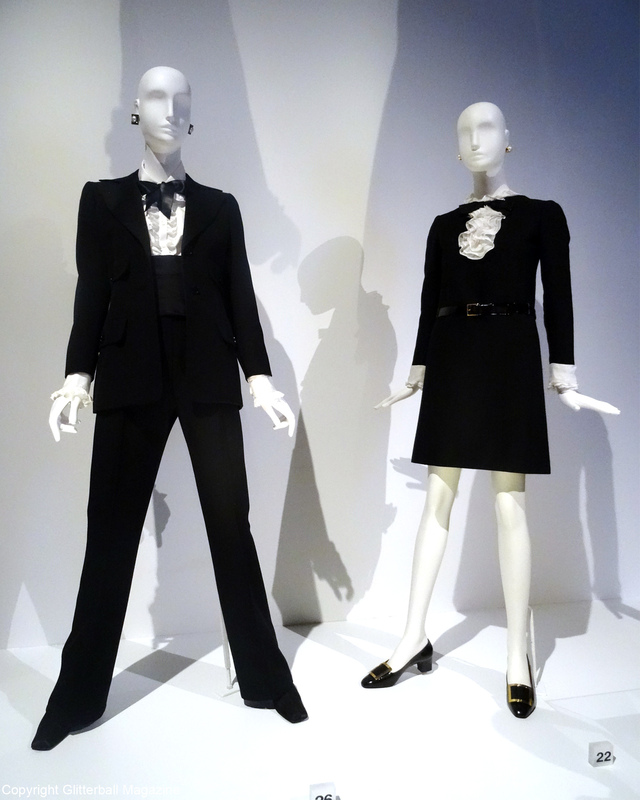 The house of YSL was opened in 1961 when Yves Saint Laurent was just 25 years old. 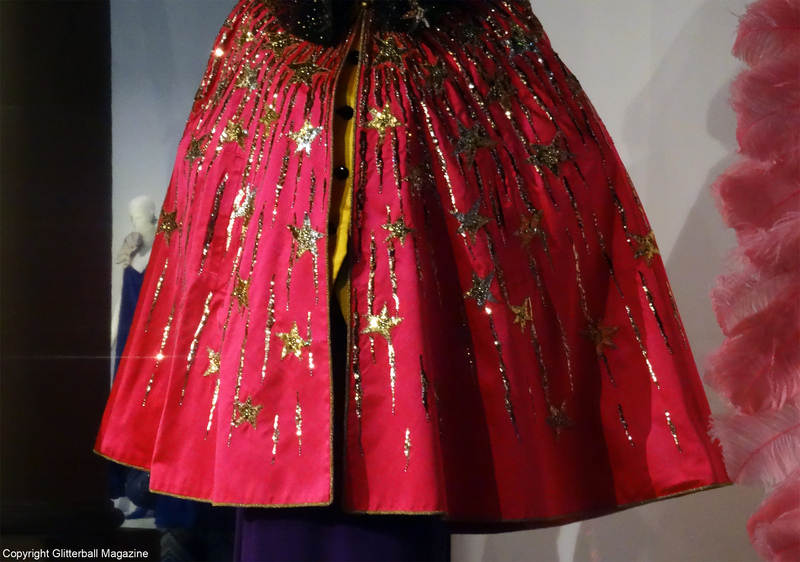 His future was promising after being named Christian Dior’s successor in 1957. 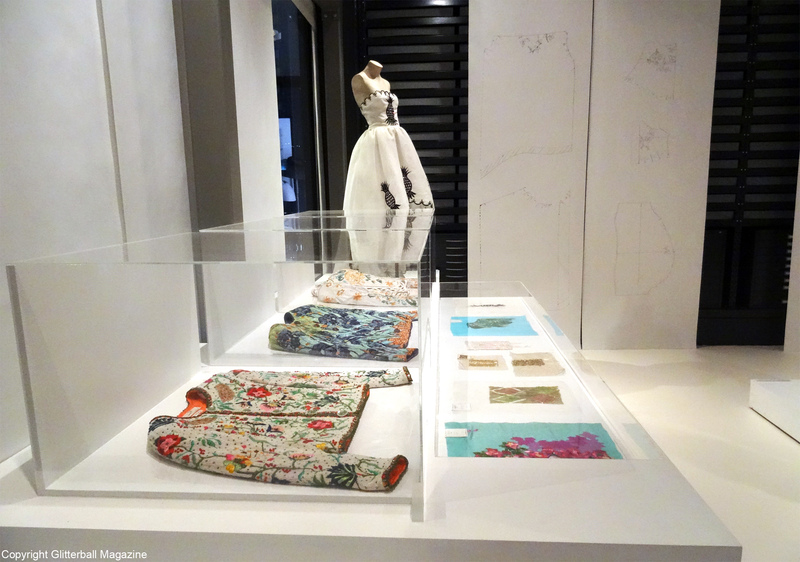 It’s an exciting exhibition, not only because it’s the first retrospective of his work in the UK but also because it provides a real insight into the late designer’s mind. 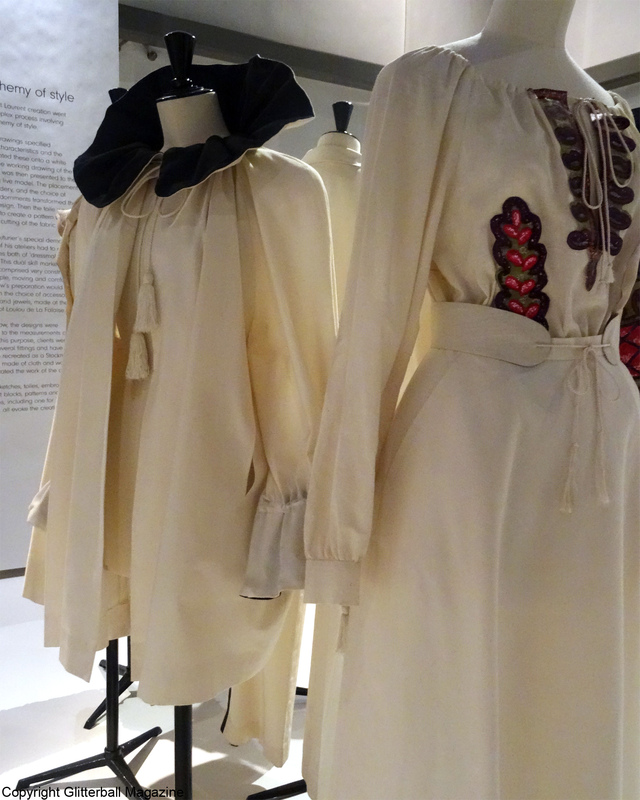 The exhibition is split between three rooms and focuses on five central themes: Haute Couture, Masculin / Feminin, Transparence, Art and Spectaculaire, which are fully explored in the third room. 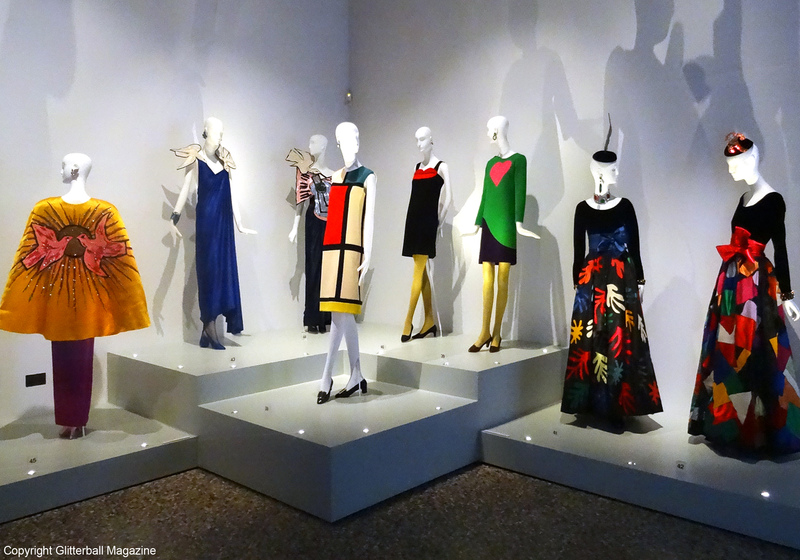 The first part of the exhibition is a video installation of Yves Saint Laurent’s spring 2002 couture catwalk show, which sets the scene perfectly for the exhibition. 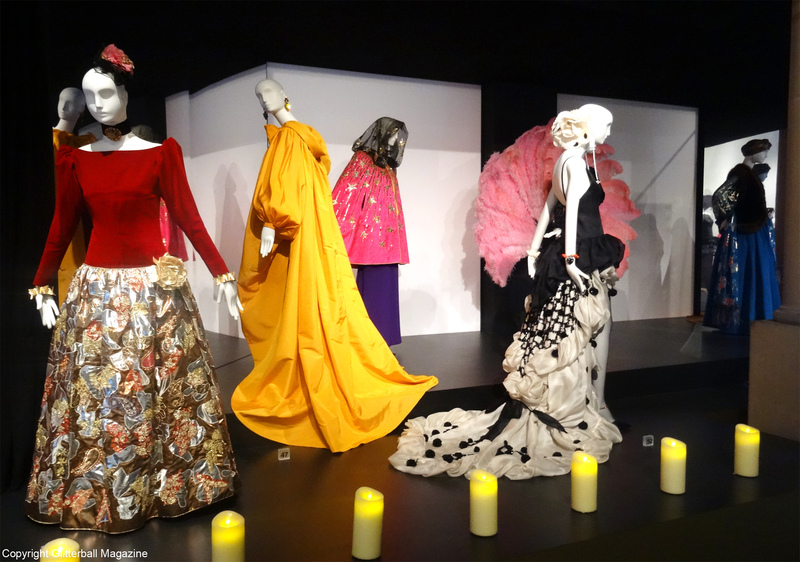 Set to Maurice Ravel’s Bolero, models including Carla Bruni, Jerry Hall and Claudia Schiffer sashayed down the runway in beautiful creations such as sequinned and feathered dresses, primary colour dresses and a rather interesting woollen all in one outfit. Note to self: I totally need to fashion myself something similar when it gets chilly. 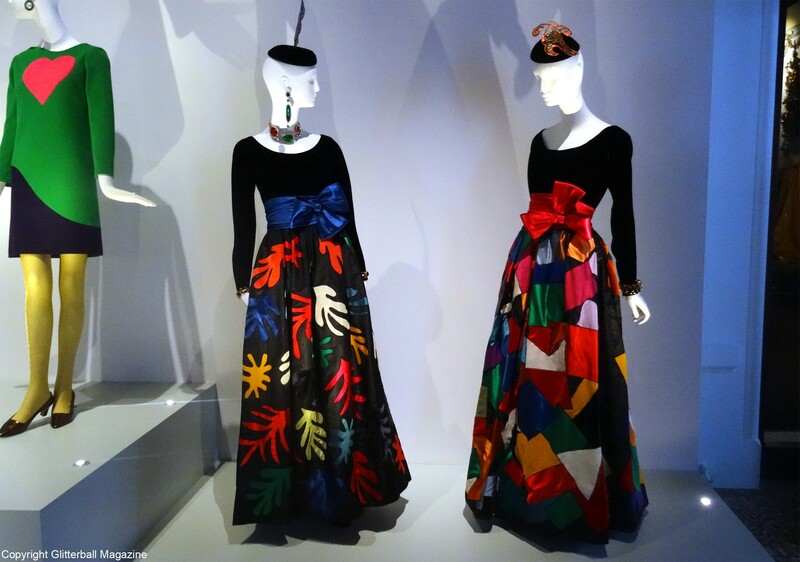 Room two begins with a stunning collection of YSL hats from haute couture collections. My favourite was a cone shaped hat with panels of gold lame damask. Different sized wooden hat moulds are displayed underneath. 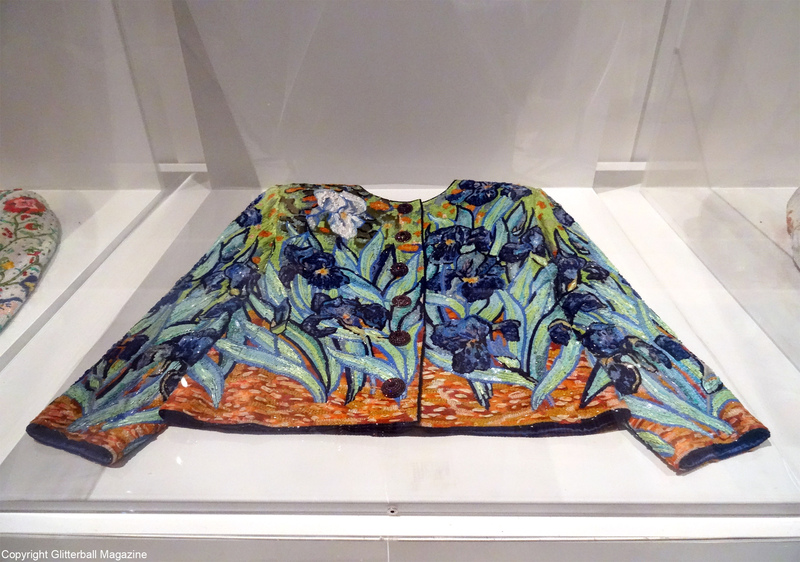 There are certain pieces from the five central themes on display beside the Bowes Museum permanent collections. 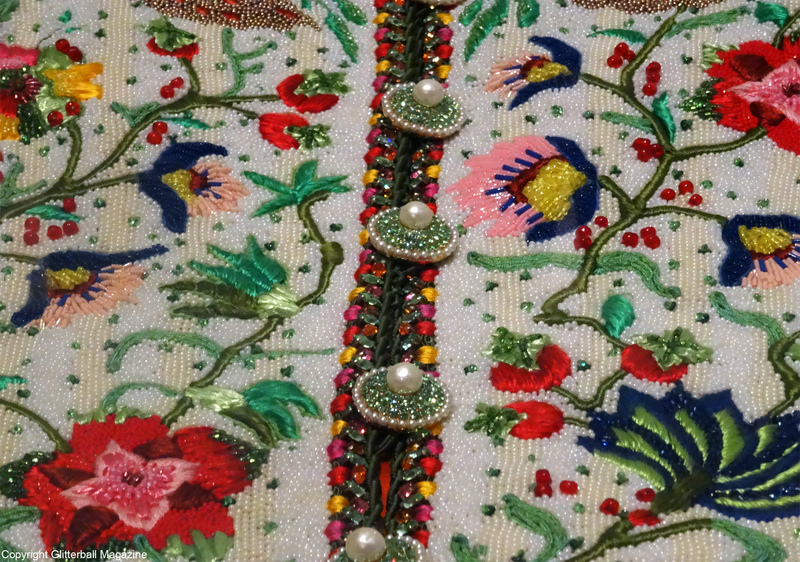 Alchemy of Style is a wonderful section of room two filled with intricately designed beaded and sequinned jackets and dresses. 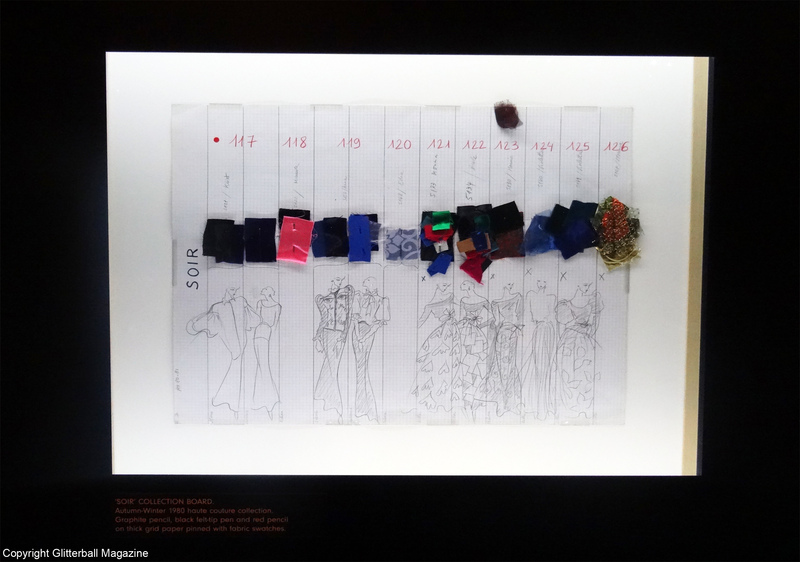 This area focuses on the different stages of the garment making process with samples and cuttings. 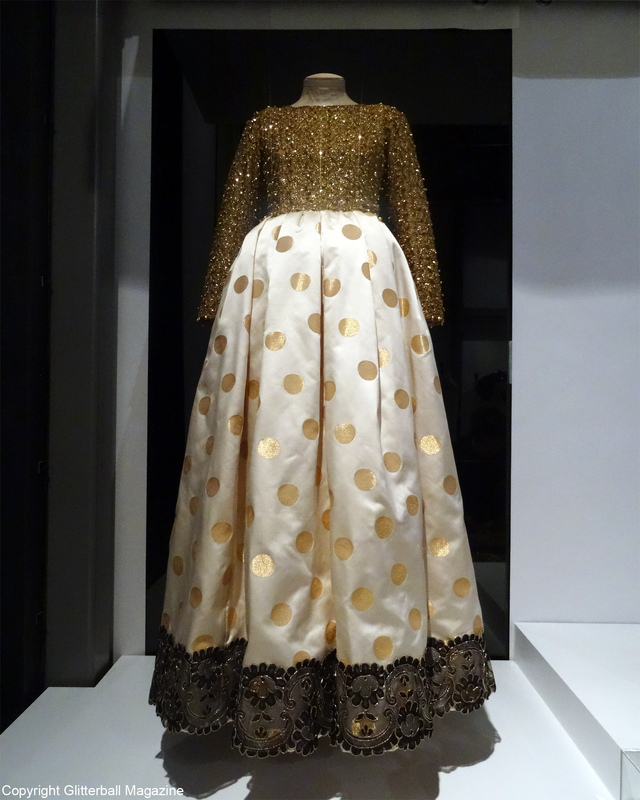 A standout piece is the evening ensemble from the a/w 1991 haute couture collection. Made with an organza bodice embroidered with golden beads and a loose fitting white satin skirt with a hem of Chantilly lace, it’s certainly a breath-taking piece. 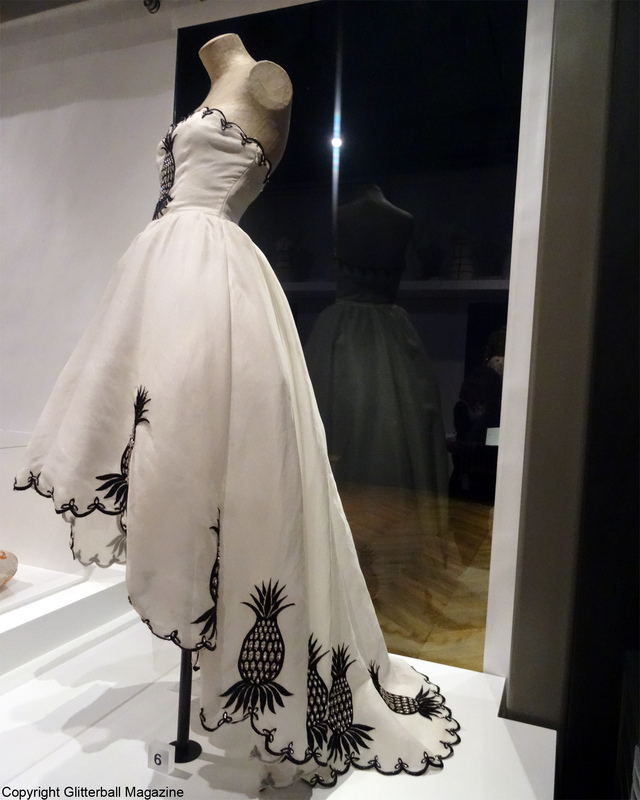 Many of the Alchemy of Style pieces are initial designs created in muslin toile before the finished item is completed. 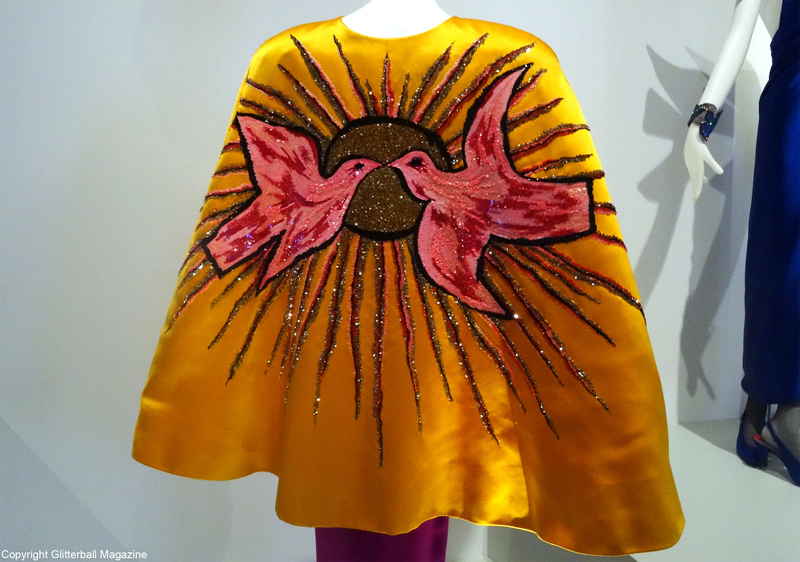 The pink satin cape is dazzling up close. I could definitely see myself working that into my wardrobe. 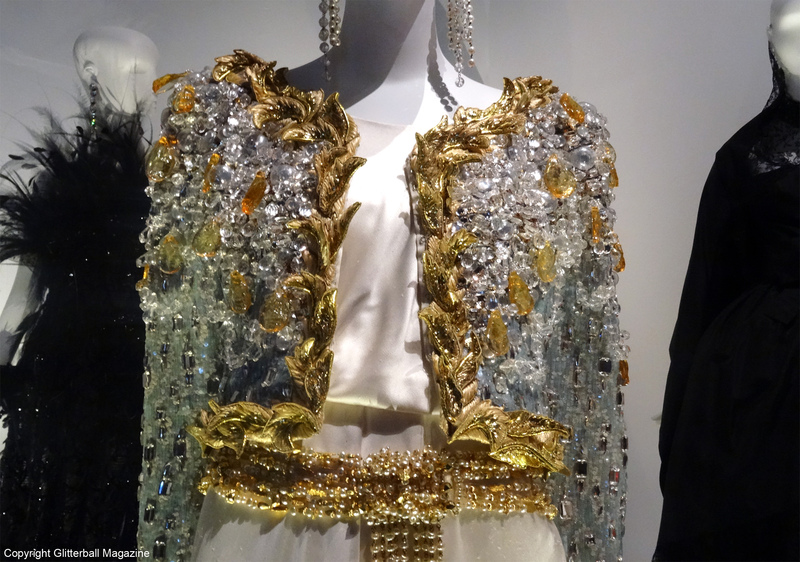 It’s covered in embroidered shooting stars made with tulle and golden sequins. 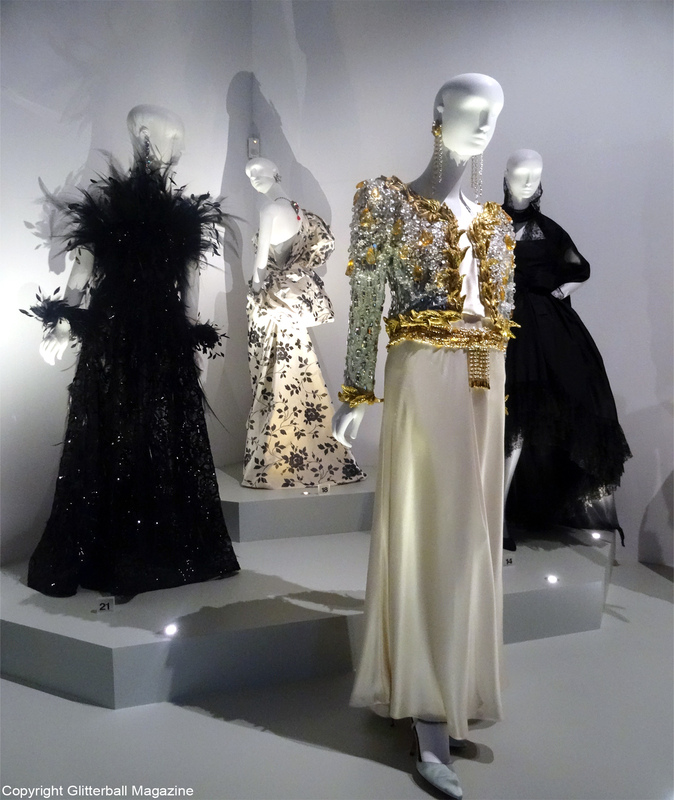 The room is filled with different fashion styles, from glamorous beaded dresses to pop art prints and tailored suits. The operatic music suits this part of the exhibition perfectly. I thoroughly enjoyed the exhibition. 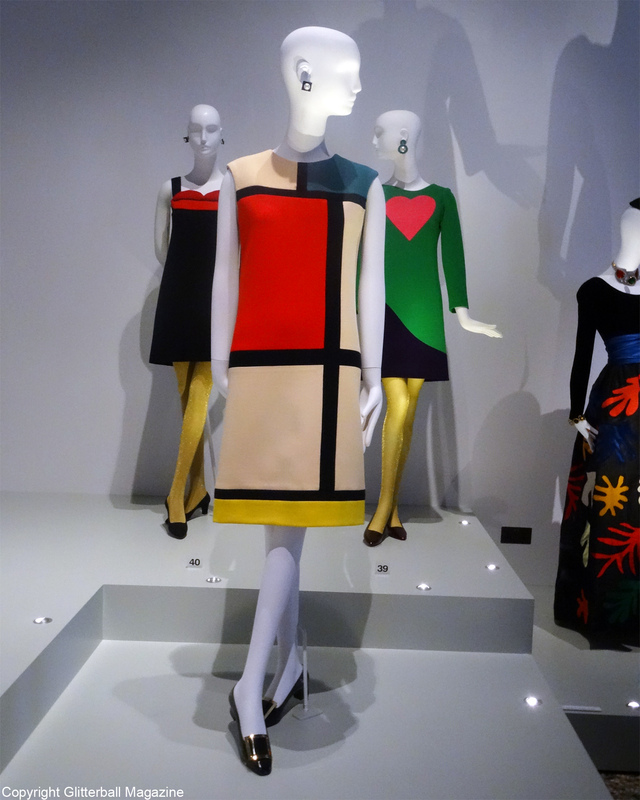 It was inspiring to see so many great pieces of iconic fashion history. Will you be going to visit the exhibition?